I read this article and found it very interesting, thought it might be something for you. 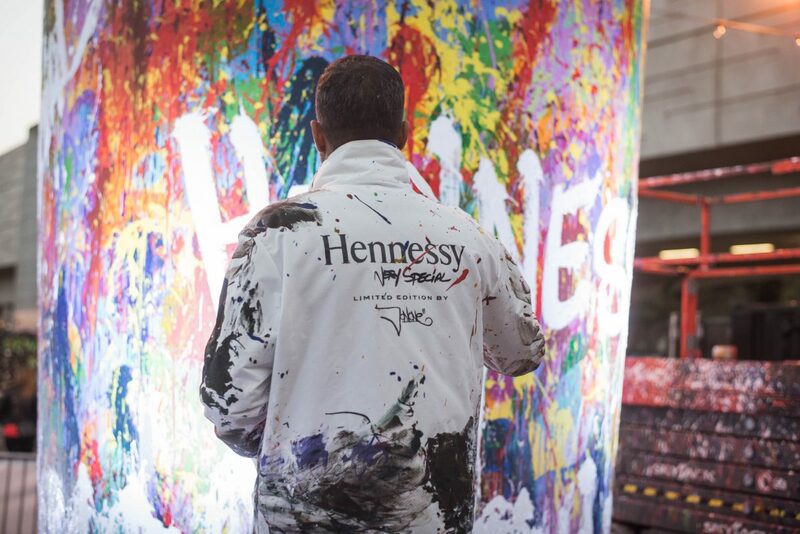 The article is called Hennessy x JonOne – a Very Special collaboration and is located at https://www.totallydublin.ie/food-drink/hennessy-x-jonone/. JonOne is the ringmaster of colour, an urban artist who knows how to create beauty midst chaos. 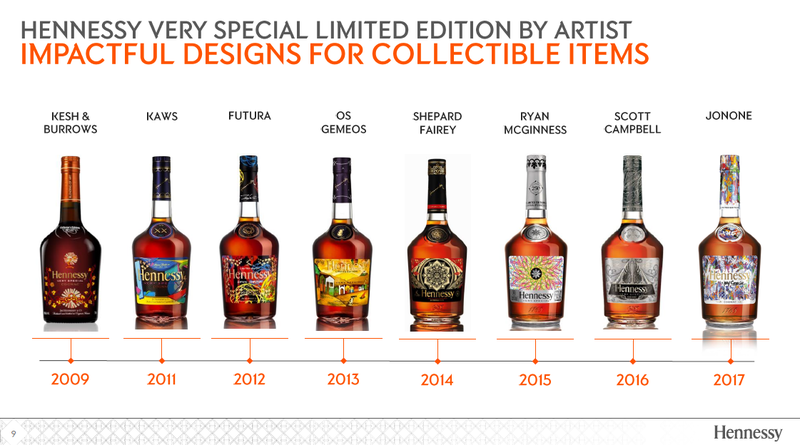 He has teamed up with Hennessy to be part of their illustrious Very Special Limited Edition series which has featured artists such as Shepard Fairey and Scott Campbell. We popped over to London to catch up with him and catch his installation as part of London Cocktail Week. JonOne describes himself as a “paint maniac” and this charming manic quality is evident when chatting to him also. 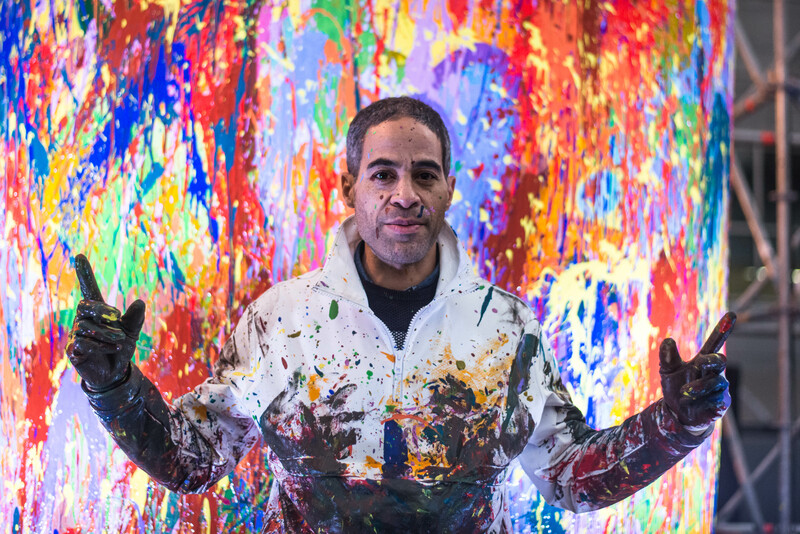 JonOne exudes an effervescent energy which clearly belies his age (53). Born in Harlem, of Dominican Republic descent, JonOne was one of the true original street artists. Entirely self-taught, he became a graffiti artist at 17 and began tagging his work “Jon156”. In 1984, he founded the graffiti collective 156 All Starz as a way to move past the urban blight around him before heading to Paris in 1987 where he has been resident ever since. Reflecting on his early days where he was surrounded, and influenced, by the likes of Basquiat and Studio 54, Jon reflects that: “It’s always a privilege to have been a part of it, and it’s not a given. When I was first exposed to this way of art-life, like going to Studio 54, I said to myself, ‘I don’t want to work.’ You know? I don’t want to get a real job, I want to somehow have my foot inside this world. You gotta work hard to maintain it, and to still be in it 30 years later, I feel blessed. I don’t have to flip burgers or do something else. For me, intellectually speaking, I had to be a part of it, or else I’d die. In terms of working with Hennessy, JonOne is quick to point out the benefits of exposure which a project such as this entails. 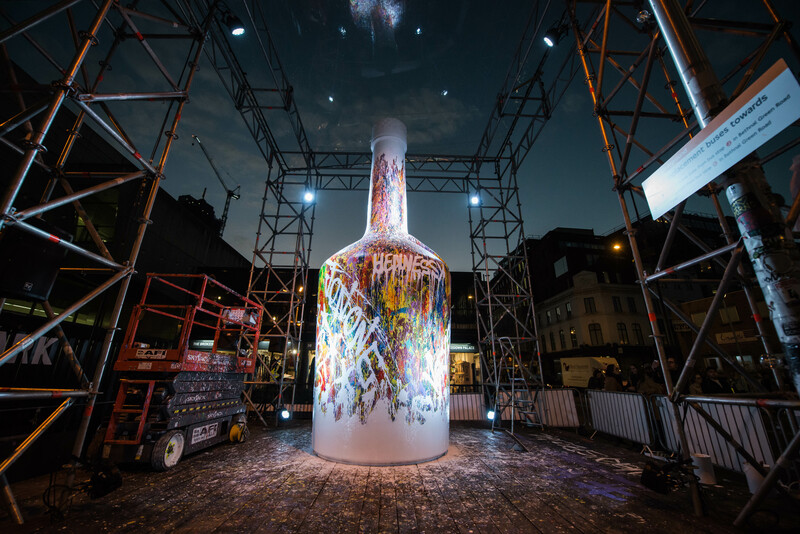 The London leg, which includes his painting of a gigantic bottle in Boxpark in Shoreditch as part of London Cocktail Week, is the culmination of a global trip which has taken him to New York, Moscow, Saigon, Tokyo and finally London. It is with this unwavering confidence and assuredness, though one borne out of moments of self-doubt also, that JonOne means to make his memorable mark on the world. His collaboration with Hennessy being one of these where he truly brought colour to the mix. Quintessentially Hennessy, Hennessy Very Special is a reference in the art of blending for its unique style. Hennessy Very Special is the modern incarnation of Hennessy’s Three Star and the world’s most popular Cognac. The union of warm-hearted and full-bodied flavours, Hennessy Very Special endures through the ages and is for connoisseurs searching for a very special moment. On the nose, Hennessy Very Special brings together an intense and fruity character with pleasant oaky notes. In the mouth, powerful flavours evoke grilled almonds, supported by the fresh, lively notes of the grapes. Only the most distinctive eaux-de-vie are selected, matured and blended to create Hennessy Very Special. Savour its lively, fruity character neat, on ice or with a mixer such as Ginger ale. The Hennessy V.S Limited Edition by JonOne is now available from O’Brien’s, Dunnes Stores and Eurospar nationwide.